Singaporean private sector economists have forecast the nation’s economic growth at 1.4 percent this year, down from their previous projection of 1.8 percent, according to a survey by the Monetary Authority of Singapore (MAS) on December 14. The survey also showed that the country’s GDP was forecast to rise 1.5 percent, lower than the previous quarter’s prediction at 1.8 percent. 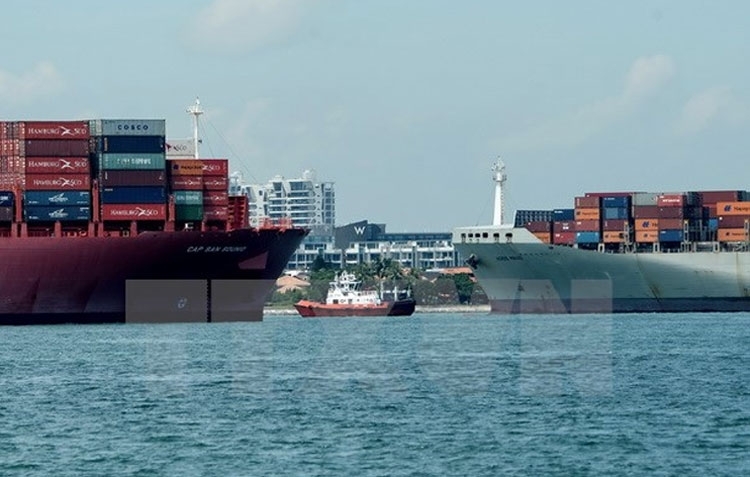 Previously, Singapore’s Ministry of Trade and Industry slashed the 2016 growth expectation for the economy by 0.5 percentage point to 1 – 1.5 percent. The ministry also said the nation’s GDP will gain between 1 – 3 percent in 2017. According to the latest MAS survey, the lowered forecasts come to sectors like finance and insurance, construction, and particularly wholesale and retail trade, which was predicted to drop to 0.1 percent. Singaporean economists project that the all-item consumer price index (CPI) this year will remain unchanged from the previous survey, at 0.5 percent. The core inflation is estimated at 0.9 percent in 2016, lower than the previous forecast of 1 percent. Meanwhile, the unemployment rate will fall to 2.1 percent from the previously predicted level of 2.2 percent. Statistics show that Singapore’s economy grew 1.1 percent in the third quarter of this year, down 0.9 percent from the previous second quarter.